Advanced tactics and tips for the intermediate Rainbow Six Siege player. Tips and tricks on taking out those pesky shield operators. How to mount a more effective defense in Rainbow Six Siege. A list of the most useful operators in Rainbow Six Siege that you should unlock first. It should be noted before we begin that the best operator for you is the one you enjoy playing the most and feel the most comfortable with. That being said, there are definitely some frontrunners when it comes to the utility they offer the team and the number of attacking operators they are capable of countering. Any of these operators are great early picks if you’re new to the game, or worth learning a little more about if you’ve been around the block and haven’t decided what operator to focus on. Each operator plays very different from the others, so be sure and put in some practice time before you make the move to ranked. Rook – Rook is an invaluable defender whose armor packs work well on any map against any combination of operators. Be sure to place the armor pack on the ground early when playing Rook. Make sure your team picks up all of the rook vests before the round starts. If the enemy gets to the bag they can take an armor for themselves. Bandit – Bandit is an often overlooked operator who is very useful. Bandit’s batteries can be used to electrify portable barriers, wall reinforcements, and barbed wire. Any operators, drones, or devices like breach charges will be damaged and/or destroyed after coming in contact with an electrified object. It also helps that Bandit’s gun is one of the best in the game, especially when equipped with the all powerful ACOG scope. 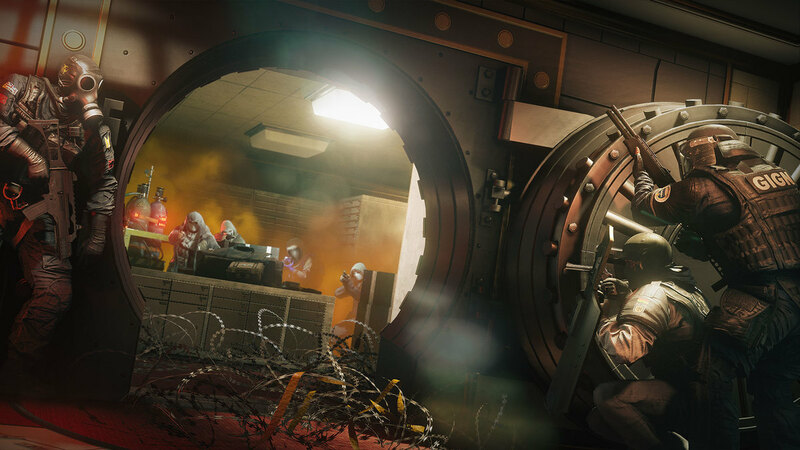 Mute – Mutes ability allows him to place signal jammers at key locations around the map. Jammers will prevent breach charges, Fuzes grenades, drones and all other electronics from working when they’re within range of the jammer. A popular strategy is to place them along reinforced walls to prevent Thermite from breaching them. Try keeping one jammer in your inventory so that you can replace any that get taken out by Thatcher’s EMP grenades. You can also throw them down at chokepoints to stop the attacker’s drones from getting sight on the objective. Castle – Castle’s heavy duty barriers essentially turn any doorway or window into a wall that is very difficult to destroy. They are best placed on windows where they can prevent enemy snipers from making your team easy targets. One important note about Castle is that if a fellow teammate pulls down one of your barriers it will be returned to your inventory becoming available for placement again. 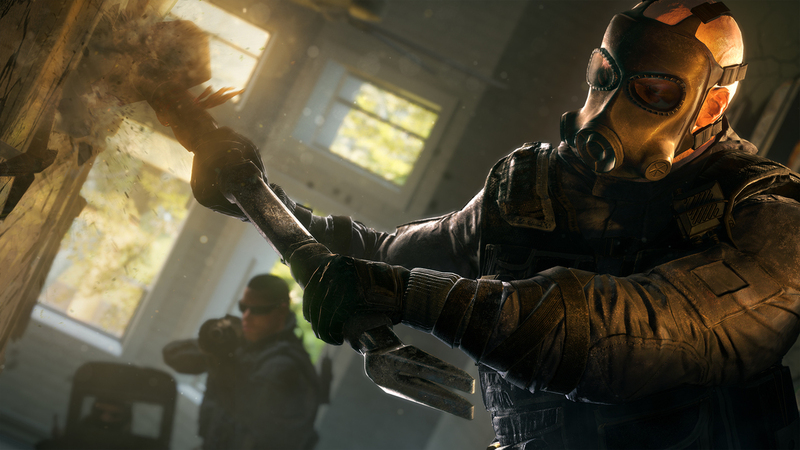 Thermite – Thermite’s high powered breach charges are the only explosives that are strong enough to cut through reinforced walls, making him a must have in almost all situations. Just make sure the reinforced wall isn’t electrified or else you’ll lose your charge when you try to place it. Thermite can also equip frag grenades which are a perfect follow up to a freshly made hole in the wall. Fuze – With the exception of the hostage scenarios where his bombs pose a risk to the hostage, Fuze is a great pick for any team. His grenade loaded charge releases three bouncing grenades into a room from the safety of the other side of a wall or barrier. Even if the bombs don’t kill anyone they will wreak havoc with the enemy’s defenses, often destroying multiple devices and traps. The grenade charges can also be placed on any breakable surface including wood floors and drywall. Thatcher – Thatcher is a great operator to bring because he can clear the way for so many of the other attackers. His ability is an EMP grenade that can destroy jammers, cameras, Jager’s anti-grenade device, and electrifying batteries. The best part about the EMP grenade is that it’s detonation travels through walls, allowing you to clear jammers on the other side so that Thermite or another operator can breach in. Sledge – This one man wrecking crew can take down barriers, walls, floor hatches, and castle barriers with a single whack of his hammer. While the hammer does eventually run out of uses, it’s more than enough to smash your way through every wall straight to the objective. The hammer also makes a powerful melee weapon. A single hit will insta-kill any operator. To read the latest guides, news, and features you can visit our Tom Clancy's Rainbow Six Siege Game Page.